The fear of violent crime dominates Guatemala City. In the midst of unprecedented levels of postwar violence, Guatemalans struggle to fathom the myriad forces that have made life in this city so deeply insecure. Born out of histories of state terror, migration, and US deportation, maras (transnational gangs) have become the face of this new era of violence. They are brutal organizations engaged in extortion, contract killings, and the drug trade, and yet they have also become essential to the emergence of a certain kind of social order. Drawing on years of fieldwork inside prisons, police precincts, and gang-dominated neighborhoods, Anthony W. Fontes demonstrates how gang violence has become indissoluble from contemporary social imaginaries and how these gangs provide cover for a host of other criminal actors. 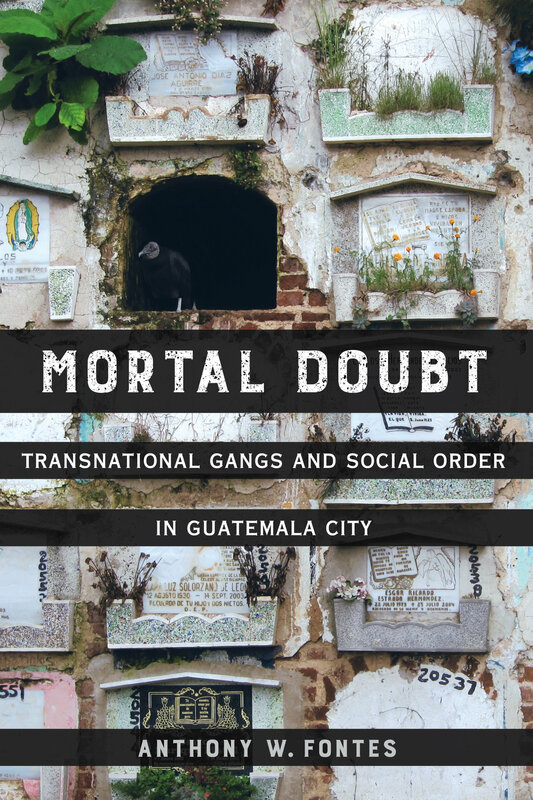 Ethnographically rich and unflinchingly critical, Mortal Doubt illuminates the maras’ role in making and mooring collective terror in Guatemala City while tracing the ties that bind this violence to those residing in far safer environs. Anthony W. Fontes is Assistant Professor in the School of International Service, American University.